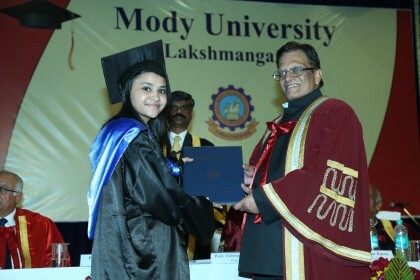 As a part of the ongoing Founder’s Day Celebrations, the ninth Convocation Ceremony of Mody University was held on 24th January 2015 where degrees were conferred upon students from different streams. 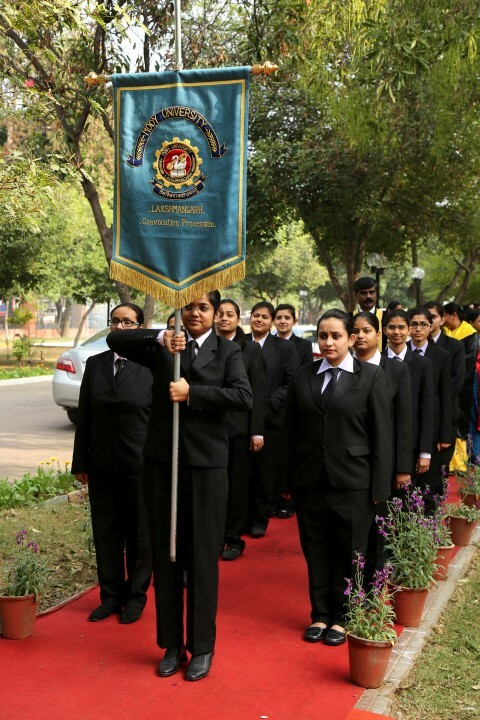 The Convocation Ceremony is a momentous occasion that holds a distinct significance for students and professors alike. Dr. Vishwanath (Vish) Prasad, the President of Mody University, presented the annual report and highlighted the glowing accomplishments of students and the progress made by the university in last year. 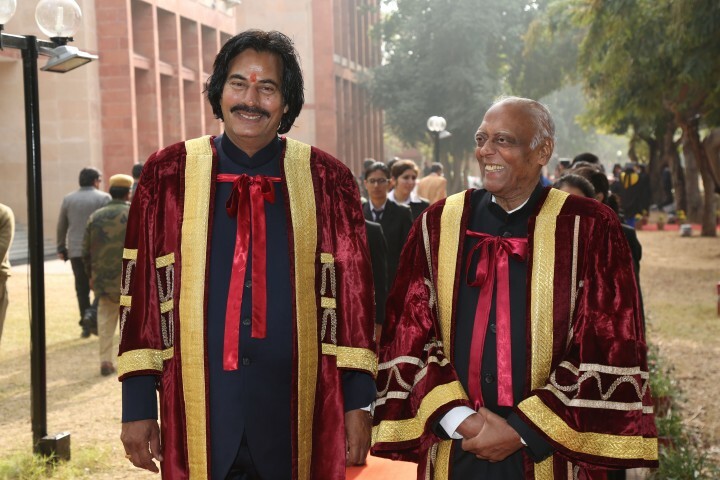 A seasoned academic leader, he asserted that having served in a slew of universities across the globe, the students of Mody University are by far the brightest he has seen in his vast career. He earmarked the values and ethos which are an intrinsic part of Mody University and put forth his vision for the future expressing confidence that with top-notch faculties and cutting-edge infrastructure at disposal, Mody University will break new grounds in the firmament of education and attain new heights. Mr Rajkumar Rinva, Rajasthan’s Mines, Forest, and Environment Minister, was the chief guest. He hailed Mr R.P. 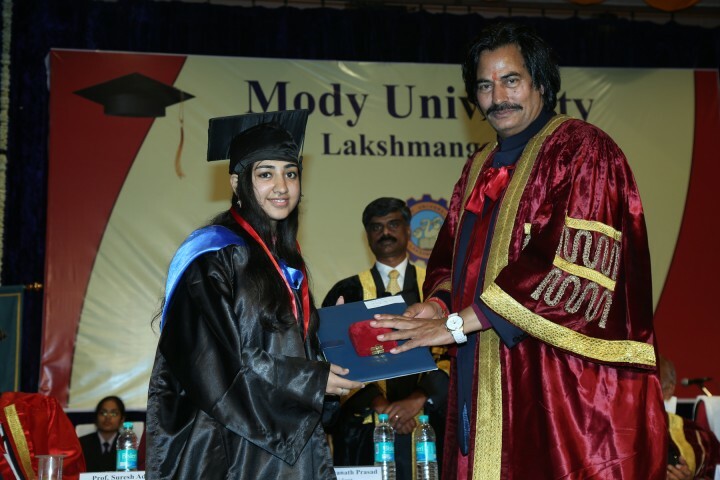 Mody, the founder of Mody University, as a visionary philanthropist and patron of women education in India. He stated that Mody University is doing a phenomenal and noble work in imparting the quality education while upholding the Indian values. Mr Rinva also applauded the institution’s commitment towards inculcating environmental consciousness in students. He professed that Mody University’s green and sustainable campus resonates with spirituality and is an ideal place for the holistic development of students. Mr R.P. Mody spoke eloquently about the journey of the institution and his vision behind establishing it. He underscored the importance of preserving and respecting nature, and proclaimed that academic excellence must be in consonance with social sensitivity and personal integrity. A total of 605 students – out of which 442 bagged under-graduate degrees, 153 post-graduate degrees, and 10 Ph.D. – were awarded degrees for completing various courses in different streams. 6 students – Kamana Jain (FET), Kumari Swati Rani (FET), Twinkle (FET), Shivangi Agarwal (FASC), Shilpa Mohta (FMS), and Kanchan Soni (FOL) – fetched Gold Medals for outstanding performance in their chosen academic courses. All the Deans of respective colleges, along with Mr Mody, Mr Prasad, Mr Rinva, and other noted dignitaries, were present during the ceremony.